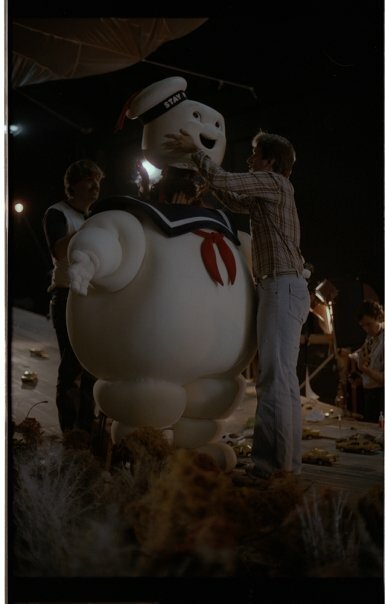 Stay Puft's head is put into place to complete the costume. The Great Crossover in Cinema History! See The Old Dark House! The Marshmallow Man: From Behind! Monster Movie Poster: "The Old Dark House"